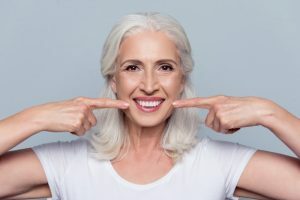 If you have lost multiple teeth, our expert practitioners at Thurloe Street Dental and Implant Centre can offer you permanent replacements that are fixed into place for natural and undetectable results. All on 4, All on 6 and Same Day Teeth are revolutionary solutions to missing teeth. Fixed in by a number of dental implants, they take away the hassle of removable dentures and provide a lifelong solution to missing teeth. Multiple implants are embedded into the jaw bone to hold your replacement teeth. The titanium implants act as ‘roots’ for the replacement teeth which look natural. We will first need to ensure your jaw bone can hold the titanium implants. We can do this through a series of dental x-rays or in some instances, you may be referred for a CT scan. This sophisticated implant process requires considerable planning, and before we start treatment, your replacement teeth will be fully designed utilising our dental expertise, knowledge and state of the art equipment. The first stage of treatment entails the implants being embedded into the jaw bone. Over the next few months, while your mouth heals, we will provide a temporary set of dentures so you can eat and speak as normal. At your next visit, we will be able to attach the crowns to the implants for a natural and pleasing result. By looking after your dental implants carefully and with our ongoing guidance, your new teeth can last a lifetime. Please click here or call 020 7584 5551 to book your dental implant consultation now.